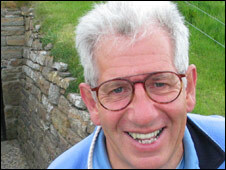 For six years historian and BBC presenter Adam Hart-Davis was the frontman for HM Revenue and Customs' self-assessment advertising campaign. But he admitted to the BBC in February that he expected to soon be replaced by a "new and more beautiful face". 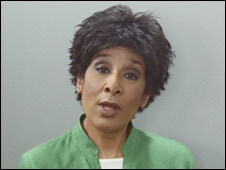 On Thursday, that person was revealed as former BBC newsreader Moira Stuart, who will feature in the television adverts from next week. She will be encouraging people to file their tax returns on time. "It is great news that Moira's fronting our self-assessment campaign. She's a household name that people naturally tune in to and trust," said HMRC head of marketing Simon Vessey. Ms Stuart has also been a co-host of the BBC personal finance programme Cashing In. Mr Hart-Davis used the slogan that "tax doesn't have to be taxing" during the HMRC adverts in which he featured. But he told Radio Five Live in an interview earlier this year that he believed the system was too complex, especially for the self-employed. He described VAT as "absurdly complicated", but added that he was supportive of the tax system in principle and described fronting the campaign as "huge fun". The new advertising campaign, also appearing on billboards, posters, in the press and online, is aimed at highlighting the new deadlines of 31 October for paper tax returns and 31 January for online tax returns. More than nine million self-assessment tax returns are issued every year by the HMRC. Last time, 5.2 million people filed on paper and 3.8 million filed online.